Welcome to the practice of Mehryar (Ray) Taban, MD, FACS. 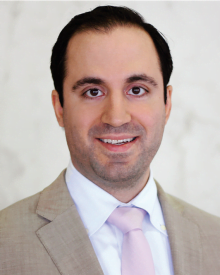 Dr. Mehryar Taban is a compassionate oculoplastic surgeon, who specializes in eyelid, orbit and facial plastic cosmetic and reconstructive surgery with offices in the greater Los Angeles area, including Beverly Hills, Los Angeles, and Santa Barbara. Dr. Taban is an Assistant Clinical Professor at UCLA. When choosing a eyelid plastic surgeon, it is important that the surgeon you choose is a specialist in the area you wish to address and routinely performs the procedure(s) to meet your needs. Dr. Taban has had extensive training and is double board certified by the American Society of Oculofacial Plastic Surgery (ASOPRS), American Board of Ophthalmology (ABO), and diplomat of the American Board of Cosmetic Surgery (ABCS). He believes in natural looking results and uses minimal incision techniques for quicker recovery.